Pastor Joe was born in Farmville, VA to Dr. Lawrence and Linda Varner. The name they gave him was Edward Joseph Tucker Varner. Today, he just goes by Joe. Growing up in Farmville, he and his three siblings attended church with their parents every Sunday at Farmville United Methodist Church. After graduating from Prince Edward County High School, he went to Randolph-Macon College (RMC) in Ashland, VA. In addition to majoring in Religious Studies and minoring in Ethics and Music, he was a member of the Kappa Alpha Order, where he helped to found a ministry for RMC students in fraternities and sororities. While a student at RMC, Joe met Morgan Greene of Virginia Beach. 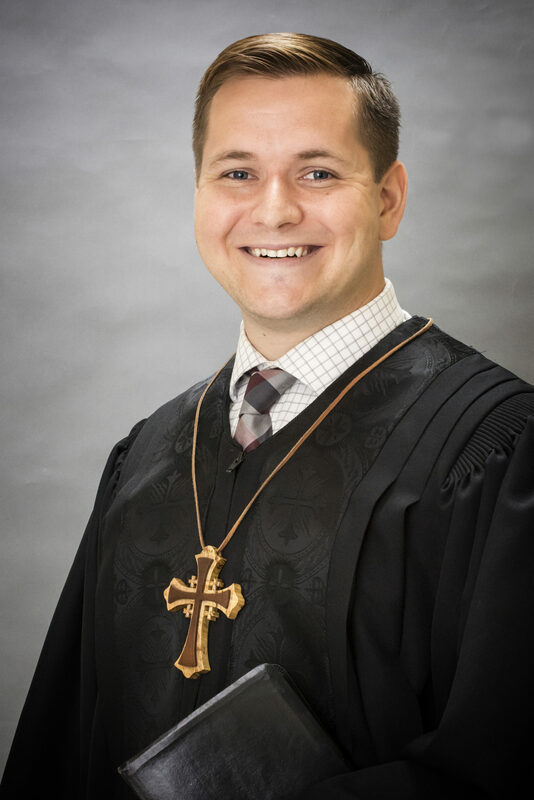 Joe received his Masters of Divinity from Duke Divinity School in 2014 and began his first appointment that summer as the Associate Pastor at St. Mark’s United Methodist Church in the Richmond District. Joe and Morgan were married on May 2, 2015, and then welcomed their daughter, Mila, on July 14, 2016 after arriving at Thalia United Methodist Church.